These high quality awards are made in 20mm thick clear glass with frosted detail, and are mounted on a black glass bevelled base. They feature a tapered column with a sloping peak inset with a five point star. 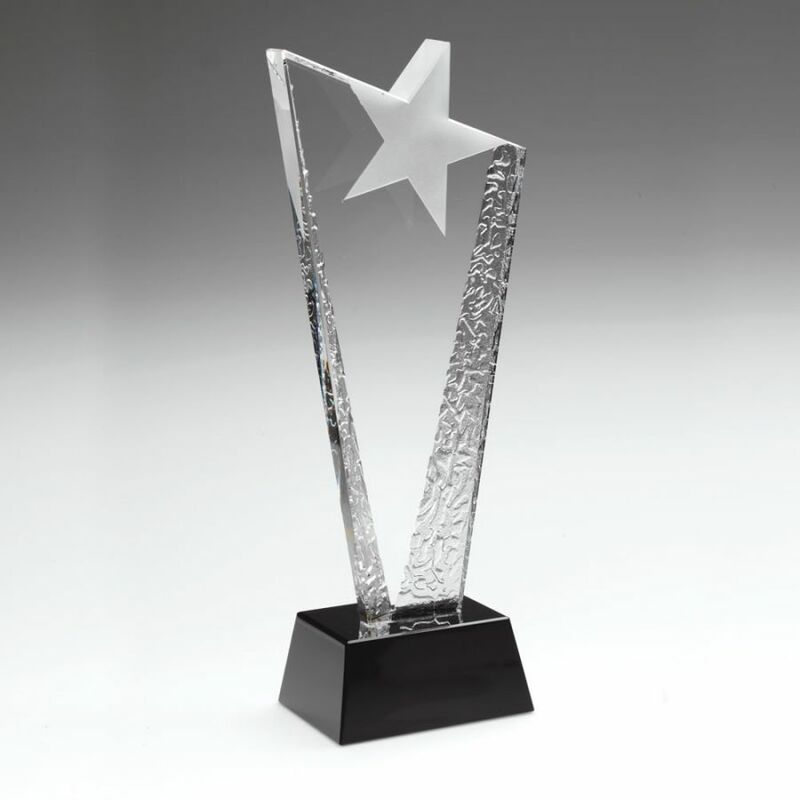 Standing 11.5in tall, they can be engraved on the flat front of the award and/or the base. Each of these glass star awards is supplied in a quality lined presentation case. Clear, black & frosted glass star award. Presentation boxed. 10.5in tall. Clear, black & frosted glass star award. Presentation boxed. 9.25in tall.